Is Your Online Project Showcase Up to Par? Over the years, design, engineering, and construction companies have begun to compile a showcase of project references. They need these references for marketing, bidding, and learning. Some companies have recorded their projects meticulously, while others are less organized. I took a look at how companies present their portfolios online and came up with some ideas for improvement. Back in the days when I worked at an architectural firm, we struggled with project references. Someone kept a simple list of projects, their clients, and sizes, but that information was not good enough for marketing or sales purposes. We could have had renderings and photos, but they were not systematically recorded. In other words, reference collecting was always a one-off project, rather than a process. When our company started building the very first website, one of the key requirements was to have a database of project references with photos. That was in the mid-1990s, so we were really early adopters! I would have imagined that by now every company, small and large, would have a perfect digital system for managing and publishing project references and case studies. Some certainly have, but there’s still a lot of room for improvement. I took a look at how some A/E/C firms presented their projects online. 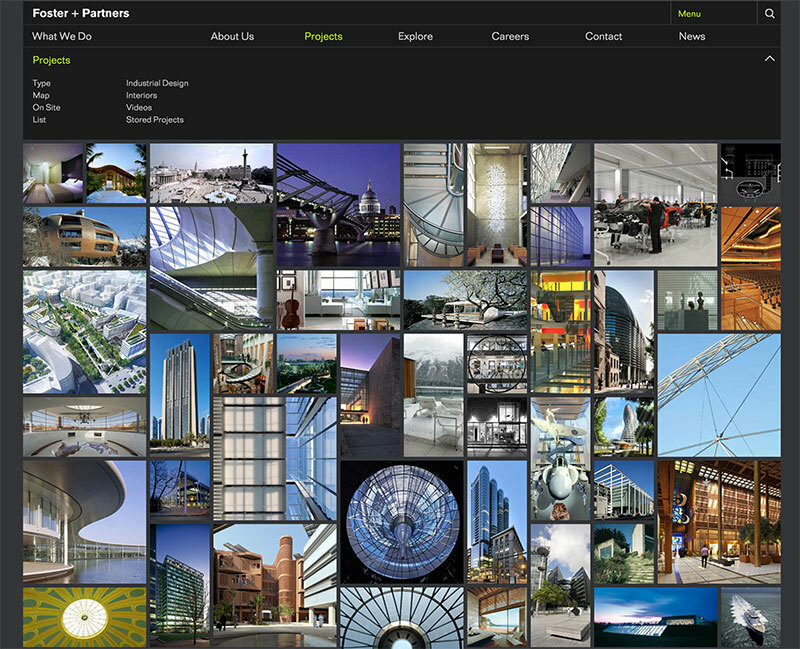 Arup, for example, has a projects section on its website with an advanced filter function. You can browse featured or all projects by service, market, and country. In addition, you can search by keyword. Each project has three pages: Overview, Details, and Fast Facts. There’s also a collection of still photos of the project. Pöyry, a Finnish consulting and engineering company, claims to deliver over 10,000 projects annually. I’m not sure how many of those it features on its website, but it naturally has an online database of their projects. A project page has a short description, a map, project facts, and separate PDF files—e.g., a one-page case summary and a fact sheet. I imagine that they use these as attachments in their bids. In addition to pure factual data, Pöyry has some projects featured as a library of client success stories. Skanska can serve as an example of a large contractor. They have country-specific sites, which seem to use the same structure, and a global project portfolio. There’s a top-level menu of project types (residential, offices, and so on), leading to a collection of project pages. A project page includes a description, facts, images, videos, attachments, and a map. At least on its Swedish site, it mentions, at the bottom of the page, a contact person. In particular, small companies prefer a sparse portfolio. A list of featured projects and client names seem to be sufficient. Obviously, they assume that the clients already know what the company is talking about. Architects believe in the power of images. Their portfolios are basically image galleries spiced up with a few lines of text. Most architects communicate better through images, but clients may want to know more. Perhaps many architects feel that their best work is sufficiently featured in professional magazines and websites. Foster + Partners has a large project gallery, but detailed information is in only available in downloadable pdf files. 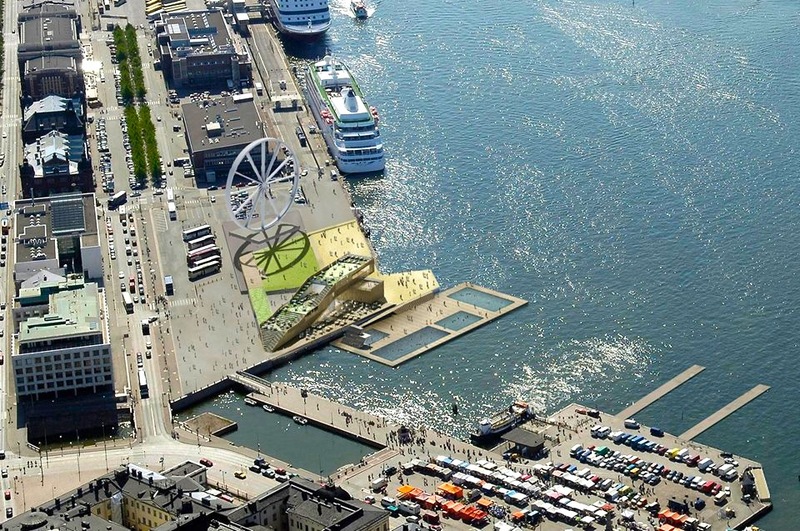 Lorcan O’Herlihy Architects (LOHA) has a very nicely designed portfolio with great images, but also some background information on the projects, as the example from their Guggenheim Helsinki competition entry illustrates. Huttunen Lipasti Pakkanen Arkkitehdit/Architects (H-L-P) relies on images, minimizing explanations. The purpose of a project portfolio is to sell the invisible—your services. A successfully completed project is proof of your abilities and trustworthiness. A client should be able to see from your portfolio if your company can serve their particular needs and requirements, even though every project is unique. For a client, a project portfolio is, in fact, a risk management tool. A good online project portfolio is easy to use. If there’s a large number of projects, make sure that the search function is intuitive and that it delivers relevant results. For example, clients might want to search projects based on the client type or size, or project budget. Is it better to have all the projects, or should you feature just the best ones in the portfolio? If there are hundreds or thousands of projects, then the most representative in each category could be enough. For example, if you’ve designed or constructed 100 similar housing projects, perhaps you don’t have to present all of them at the same level of detail. The date of the project can be relevant. A project that was built 40 years ago is a part of the history of your company, but it is not necessarily interesting to present-day clients. You can, of course, exhibit older projects elsewhere on your site. The most important improvement to any project portfolio is to present it from the client’s and user’s point of view. What were the client and user benefits, what were the challenges, and what new value did you provide on the project? What were the lessons learned? Perhaps you could also say a few words about project collaboration. That might interest your future project partners. As a technical detail, I would recommend that the portfolio should not have PDF and MS Office document attachments. Opening separate files make the use of the site cumbersome. Many users visit your site with a mobile device and cannot easily view attached documents on a small screen. After all, the project portfolio is an extension of your service experience.